Hapuku River coastal outwash fan and farmland. Seaward Kaikoura Ranges above showing active debris dust from Kaikoura m7.8 earthquake behind. 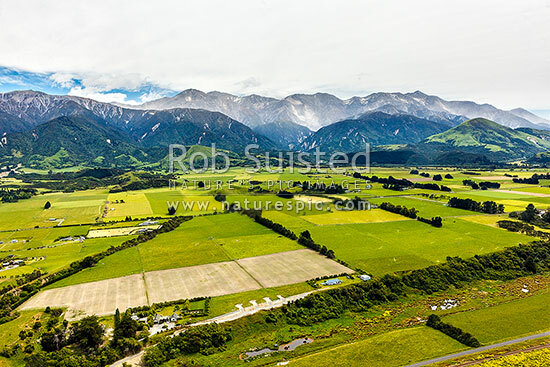 Hapuku River alluvial delta, Hapuku, Kaikoura District, Canterbury Region, New Zealand (NZ), stock photo.